"Thanks for using this guide. Please note that this is not meant to represent every drug an EP should know. This is simply a quick guide to many of the common and life saving drugs that we use every day. It does not include antibiotics and it does not include many important pediatric drugs. 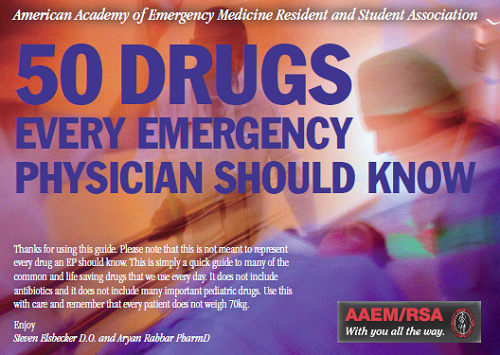 Use this with care and remember that every patient does not weigh 70kg."